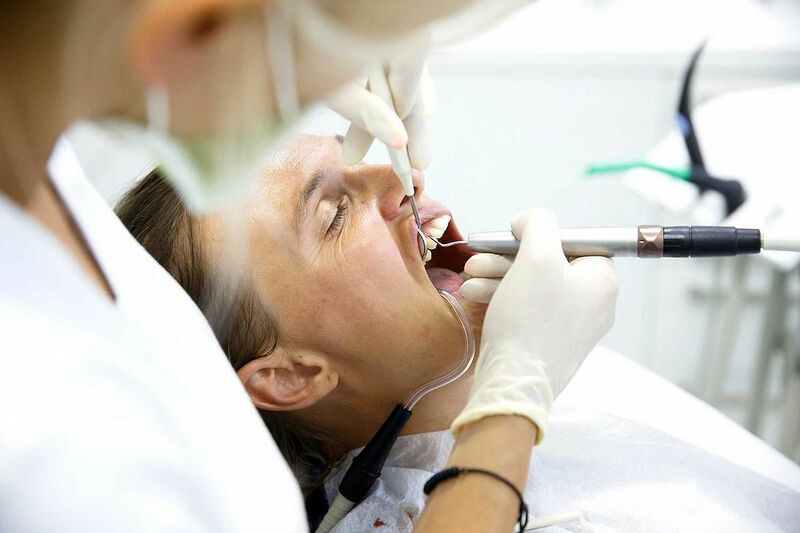 It is common for people to experience oral complications during treatment for cancer. About a third of patients experience dry mouth, ulcers, tooth decay or infections. A healthy mouth is less likely to develop complications, says Dirna Grobbelaar, an oral hygiene advisor at Ivohealth’s. If possible, before treatment begins, have a thorough dental check-up and visit the oral hygienist for a professional clean to remove any tartar and plaque build-up, Grobbelaar advises.
. Brush correctly, at least twice a day, for a full two minutes each time.
. Use a soft-bristled brush, which will be gentler on sensitive gums. Invest in a quality power brush to give you a superior clean with minimum effort.
. If you are sick, remember not to brush the teeth immediately after vomiting. Stomach acid demineralises enamel and weakens the teeth. Rather just rinse with water or an alcohol-free mouthwash, then brush an hour or so later.
. Use a mild toothpaste. If you experience bleeding gums, use a treatment paste available from pharmacies and dentists.
. Clean between the teeth every day, using floss or interdental brushes. For easy extra freshness, rinse with an alcohol-free mouthwash. Dry mouth is a common side effect of hundreds of prescription medications, including many chemotherapy drugs. Drinking water or chewing gum will give temporary relief. Some gels or sprays are specifically designed to soothe dry mouth; it lubricates oral tissues, soothes irritation and creates a protective coating in the mouth, giving longer lasting relief. Mouth ulcers are another common side effect of treatment and can be painful because they expose sensitive nerve endings. The gel and spray forms a protective barrier over the ulcer to give immediate relief. Your oral care routine may not seem to be a priority if you are battling cancer, but preventing and controlling oral complications can help ease the journey. Managing symptoms will help alleviate any pain and discomfort when eating, drinking and talking – a critical part of your care and recovery.